[prMac.com] Hagenberg, Austria - Ergonis Software today is thrilled to announce the release of Typinator 5.5, a new version of their popular text expander. With the new concept of calculation fields, Typinator offers amazingly powerful text expansions for regular users without any programming skills. "Calculation fields are a rather simple concept, but the possibilities are virtually endless. In combination with input fields, you can use Typinator to write a complete bill with just a few keystrokes, with discounts, taxes, etc.," said Guenther Blaschek, CTO of Ergonis Software. "Combined with some scripts - such as the Convert script from our Download Extras page - you can even include the amount in other currencies, based on the current exchange rate." Typinator can be purchased securely on the Ergonis Software website. 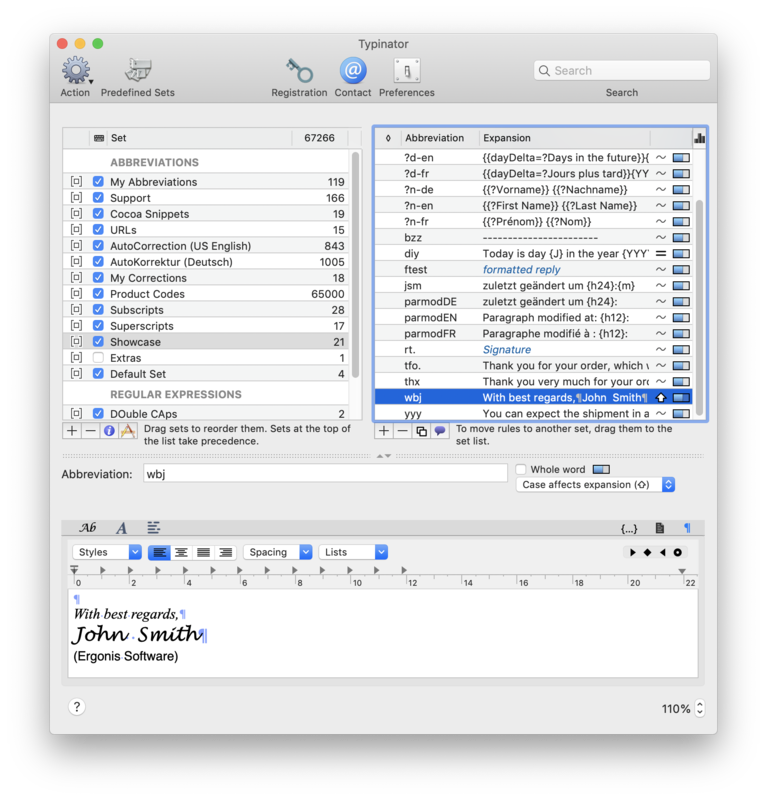 The upgrade to Typinator 5.5 is free for anyone who owns a valid license for Typinator 5. Upgrade paths are available for owners of older licenses. See the company's web site for information about purchases, including enterprise licenses, volume discounts, and upgrade pricing offers. Instead of purchasing Typinator by itself, customers can get the Ergonis Productivity Bundle that also contains two of the company's other productivity tools, PopChar X and KeyCue.